And not in the way you're used to it, with blog articles detailing case studies. Instead, these are deep, vulnerable stories about who we are. Through the stories and outlines inside The Copywriting Bible, you'll see just how anyone can push through the noise of online marketing to stand out. Best yet, you will see how you can do it too. The most important part each piece inside this book? It's the tangibility. You can feel the emotion of the story. In these hundred outlines, you'll realize just how you can transfer that emotion to the reader, all while genuinely telling the story of your company in almost every piece. If you're ready to understand storytelling copy, then let's break the internet. Are you feeling overwhelmed by your pursuit of a successful copywriting career? Don’t worry, this book is here to help you learn exactly that and more. Are you asking yourself how? It’s simpler than you think. It just takes a little bit of patience and planning. This book will show you and explain to you ways in which you can achieve your dream of breaking into the copywriting world and start working on your portfolio. You will learn about the different tactics and strategies you should be aware of to make it to the top, including the use of different copywriting styles, how to build a powerful copywriting message that sells, and much, MUCH more. Throughout the chapters, the tips that were given were to help you to see copywriting isn’t just writing a flowery description about a product. It’s about convincing a target audience they can’t live without having a certain product. It’s about belief in the product. It’s also about being able to express all of this in such a way that your message targets the audience most likely to buy the product you are selling. Look into the competition and find their weaknesses. The iPad advertisers did this perfectly, in that they knew the public still suspiciously views the innovative and complicated systems produced by iPad competitors. Instead of describing their system in a complex way, they demonstrated it as totally suitable to everyone’s lifestyle in a stylish way. That’s clever, honest copywriting, and it hit the target audience in a way no one could have anticipated. The new iPad Air has equally taken the imagination of the public by storm by offering lightness the old iPad didn’t offer. However, you’d be hard pressed to make an iPad user part with the technology once you made the sale. We told a similar story about cut-price airlines and how luxury airlines exploited the fact that "no frills" may not be what a discerning traveler is looking for. Once you add having a great vocabulary coming up with brief but imaginative copy people automatically associate with the product, you will have sufficient information to persuade the public to buy. Look back at the catchphrases we shared with you, as some of these are so typical of what is being used to lure the public these days. Some of these will last for generations because consumers believe in what they are investing. Aside from the eventual monetary aspect of being a successful copywriter, this book will teach you many other invaluable secondary skills related to the industry. You will get to find out what every beginner copywriter needs to know, what qualities a copywriter should have, how to utilize different copywriting styles, and you will learn how to apply your learned knowledge in a real-life situation, which is what matters ultimately. I hope my book will help aspiring copywriters, enthusiasts and anyone interested in the industry who are looking for that perfect break-through in their career, while also providing you with an awesome, fun way to improve your skills. So, convince yourself with your own eyes about what I am talking about and start reading the only book you will ever need to become a successful copywriter! In this book, you’ll learn how direct marketers shatter sales records with the written word. Many people find copywriting confusing. But Breakthrough Copywriting makes it simple—by breaking everything down into a clear, step-by-step process. There’s something for everyone. New copywriters will get a complete toolkit. Experienced marketers will benefit from new strategies and tactics. Whether you are a freelance copywriter, an entrepreneur, or a marketing professional, you’ll get tips, tools and templates to easily make the written word produce a lot more sales for you. Writing copy is often assumed to be a natural talent. However, there are simple techniques you can employ to craft strong written content with ease. 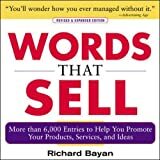 With insightful interviews from leading copywriters, as well as illustrated case studies of major brands, this new, expanded edition teaches the art of writing great copy for digital media, branding, advertising, direct marketing, retailing, catalogs, company magazines, and internal communications. Let’s not mince words here: most business writing is tedious, pompous and bereft of the tiniest sliver of personality. It’s near impossible for customers to cut through the “innovative solutions” and “passion for customer service,” and find out who can actually give them what they need. For the business owner who’s willing to do something different, though, it represents a major – and inexpensive – competitive advantage. May I Have Your Attention, Please? lays out 12 simple principles that allow business owners – even those with no writing experience – to attract and enchant their dream customers. With clear and concise explanations of what works and why, and examples of the best and worst text out there, you’ll have all the tools you need to turn readers into buyers into raving fans. How to make price irrelevant and be the only choice for your ideal customer – by changing nothing except your copywriting. The business writing “rules” you should revel in breaking. Why copying your competitors is a dangerous waste of time... and what to do instead (without spending hours searching for ideas). The easily avoidable mistakes that are turning your customers off – even if they don’t know it. A simple framework to help you blast through writer’s block and know exactly what to say in any piece of writing. How to “read your customers’ minds,” and get them looking for reasons to buy from you. Business owners looking to breathe more life into their website, content marketing or sales materials. Employees who want to gain a new skill and have more impact in their work. Anyone who has something great to offer – but is struggling to get the message across.